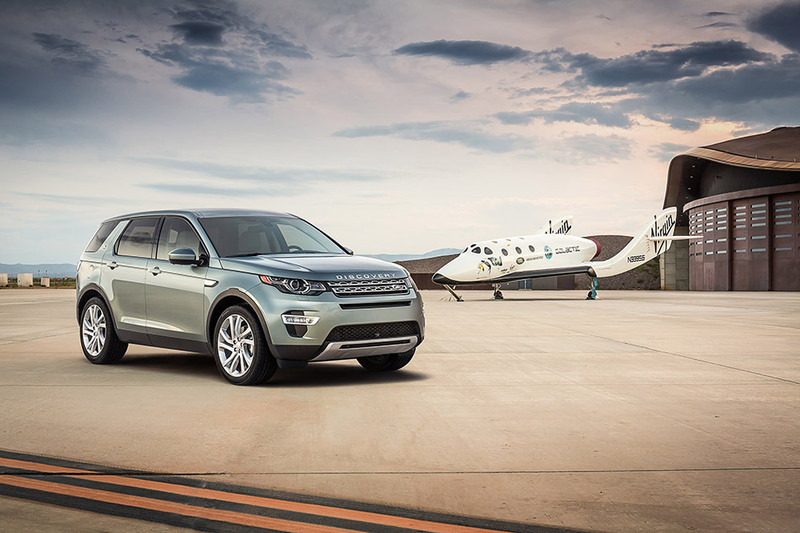 New Land Rover innovations debut in the Discovery Sport, including available Autonomous Emergency Braking and a new touchscreen infotainment system. 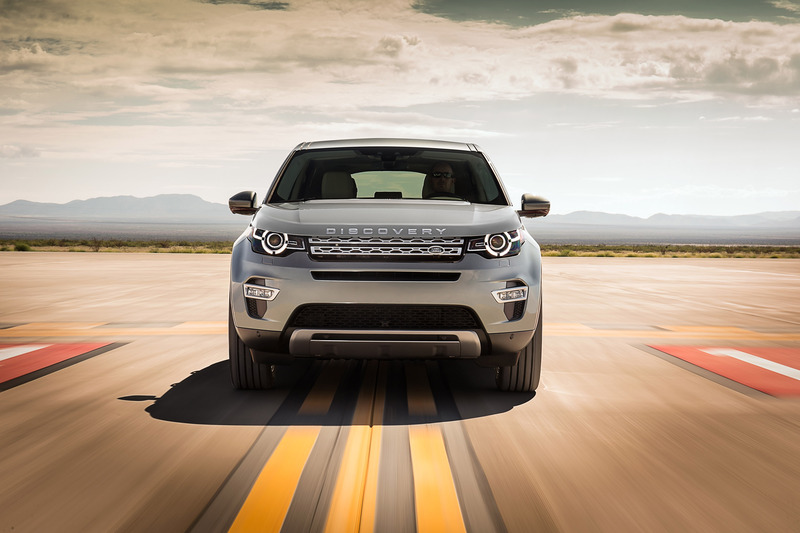 Designed and engineered at the Land Rover Development Center in the UK, the Discovery Sport will be produced at the company's award-winning manufacturing facility in Halewood, Liverpool, in the United Kingdom. It goes on sale in early 2015 alongside the existing seven-seat Land Rover LR4 in the US, which is sold as the Discovery in over 170 markets worldwide. Some compact SUVs go for visual impact. Others prioritize space usage and versatility. 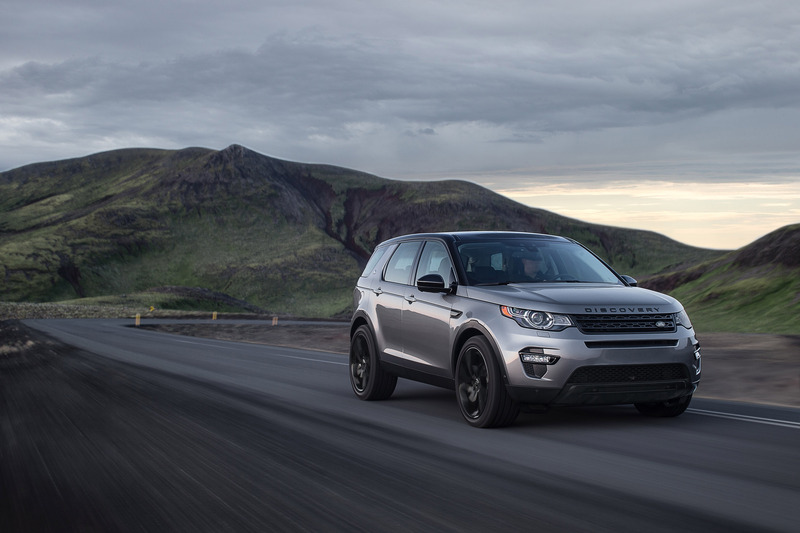 The new Land Rover Discovery Sport combines the two and also offers the brand's renowned all-terrain capability, with the ability to scale a 45-degree incline. Built on a 107.9-inch (2,741mm) wheelbase for ride smoothness and generous middle-row legroom, the Discovery Sport nevertheless could take a "compacts only" parking space with its 180.7-inch. (4.59 mm) overall length. The vehicle's proportions put the wheels out at the corners, contributing to both a low center of gravity and a "planted" stance. 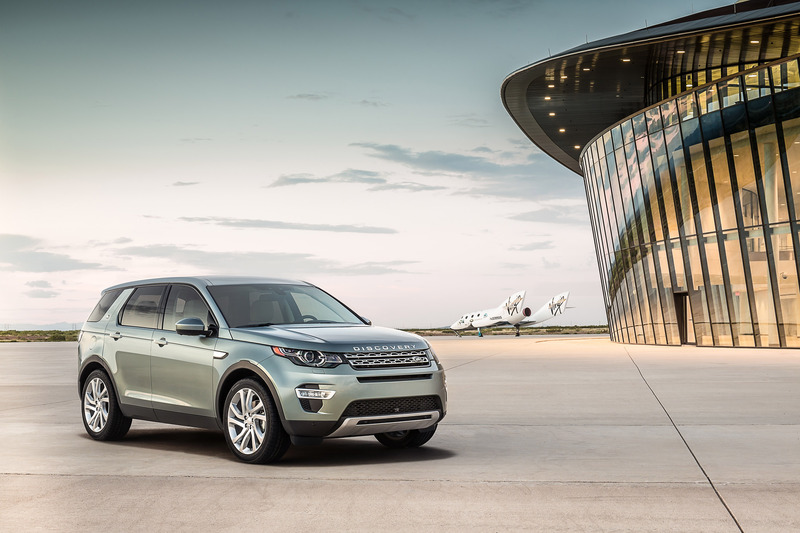 Aside from the overall shape, details including a clamshell hood and distinctive two-bar grille with hexagonal mesh connect it to its' Land Rover identity. Large outboard air intakes and LED fog lamps in the front bumper convey a strong sense of "sport," while the slim, wraparound headlamps are reminiscent of designs used on Range Rover vehicles. Round daytime-running lights (DRLs) are punctuated at four equal intervals to represent the points of a compass, a nod to the vehicle's considerable capabilities. Halogen headlamps and DRLs will be standard, and available trim upgrades will include Xenon headlamps and LEDs (light emitting diodes) for the DRLs. The tail lamp design echoes the headlamps' slim, wraparound design, accentuating the dynamic bodylines. With the design comes function, too, especially with regard to reducing wind noise. An acoustic laminated windshield, along with the vehicle's aerodynamic details -- such as specially shaped A-pillars and door mirrors - help create a hushed cabin. Aerodynamic detailing at the rear helps to reduce road grime or dirt picked up by the body, especially on unpaved roads or in winter driving. Skid plates are functional and create a design element repeated front and rear. An available "Black Pack" trim package emphasizes the vehicle's sporty stance, with gloss-black used for the grille, door mirror caps, front fender vents, and badging. The package also includes a choice of 19- or 20-inch alloy wheels. A contrast roof, available in Santorini Black, extends to the base of the A-pillars. 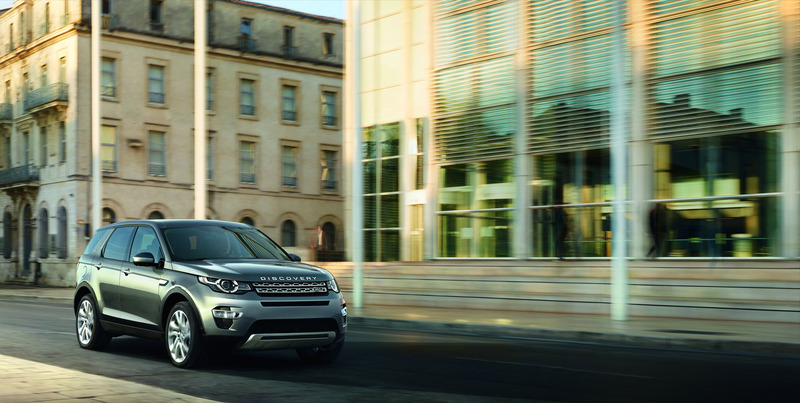 Designed to accommodate families, the Land Rover Discovery Sport nevertheless caters to the driver. That of course starts with the brand's traditional raised Sports Command Driving Position - not just a raised seat height, but also a design that positions the seat, pillars and dash to maximize forward visibility. 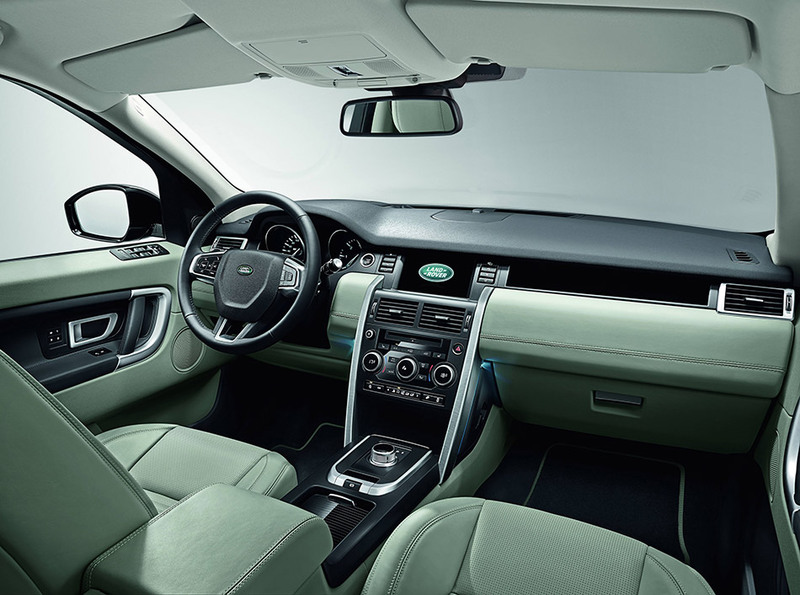 In a theme similar to Range Rover models, the front cabin design uses the strong vertical lines of the center console and the slimmer horizontal elements of the instrument panel to create a striking though elegant appearance. A prominent center console groups all controls logically. Soft-touch rotary controls and buttons set into a gloss-black surround create a tactile user-interface and are easy for the driver to find under the glare of direct sunlight. Upper trim levels feature twin-needle-stitched leather on the upper reaches of the instrument panel and door surfaces, and the center console's vertical spars are available in a genuine metal finish. Configurable mood lighting, controlled via the central 8-inch touch screen, enhances interior ambience. 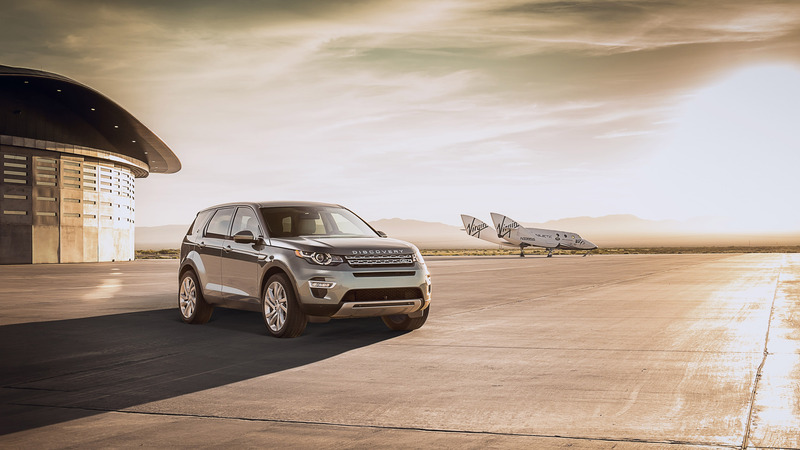 At the core of the new Land Rover Discovery Sport is the outstanding capability that's been the hallmark of the company's vehicles for nearly half a century. 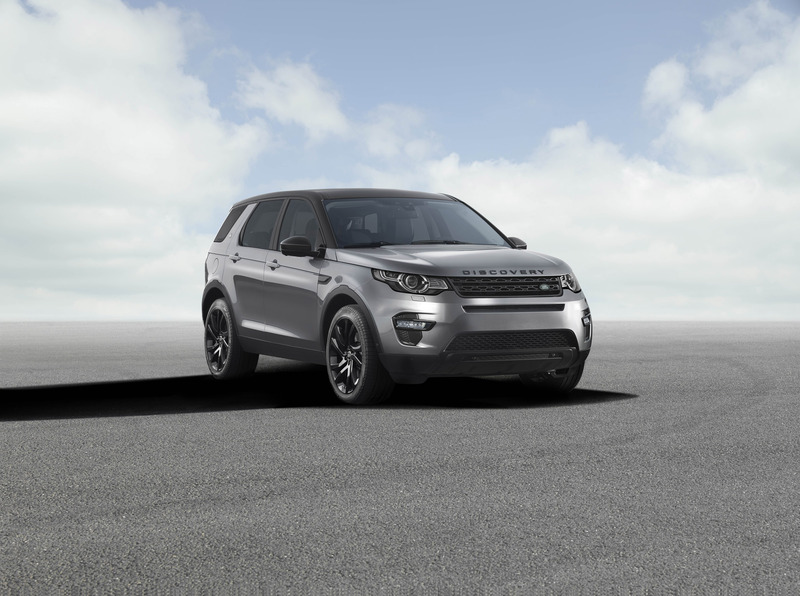 As it has done with all its models, Land Rover instilled the Discovery Sport with a compelling combination of off-road capability and on-road dynamics. Interior packaging and safety innovations make the new model an ideal family vehicle, while extensive use of intelligent lightweight materials and an efficient powertrain reduce fuel costs and environmental impact. The hood, front fenders, roof and tailgate are aluminum. Using the lightweight material at the vehicle's extremes, far from the center of gravity, contributes to enhanced agility. The 2.0-liter gasoline engine features an advanced low-inertia turbocharger, high-pressure direct fuel injection and variable valve timing to deliver exceptional driveability throughout the rev range. Twin balancer shafts ensure high levels of refinement. Smart regenerative charging prioritizes charging the battery while the vehicle is decelerating, reducing the electrical system's demands on the engine. The ZF 9HP48 nine-speed automatic transmission, also featured in the Range Rover Evoque, uses closely spaced gear ratios to provide seamless response and allow for a very low first gear and powerful mid-range acceleration. Second gear, which is approximately equivalent to first gear in transmissions with fewer ratios, is used to start off from a standstill to maximize efficiency and refinement. Drivers can, however, manually select first gear when maximum acceleration is required or for a low ratio in challenging off-road situations. A rotary gearshift controller rises silently from the center console when the engine is started. Steering wheel paddle shifters offer complete driver control for dynamic driving, precision off-road maneuvers and manual gear selection while towing. The transmission's quick gear changes are smooth, in keeping with the brand's penchant for refinement. A skip-shift function allows the transmission to downshift directly between non-consecutive gears rather than sequentially cycling through gears in between. Should the driver demand too low a gear, the transmission will remember the request and select the gear once engine speed slows to an appropriate level. 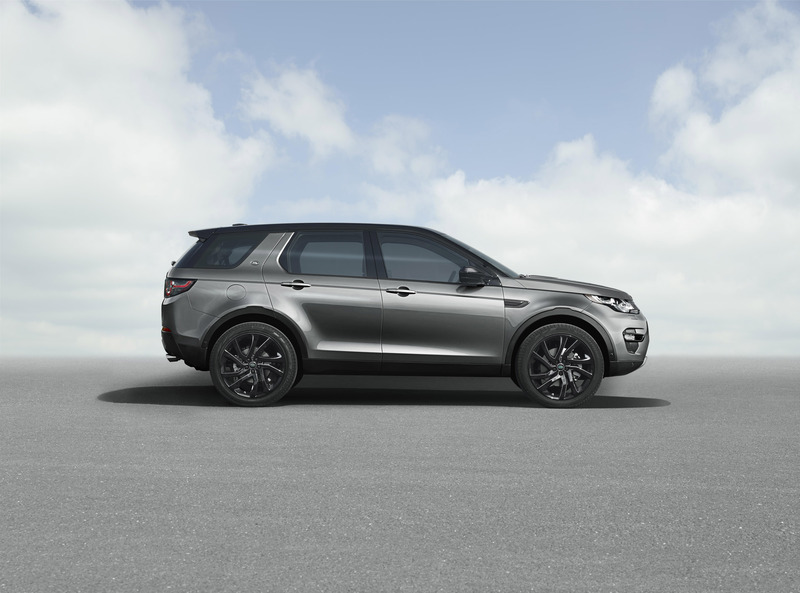 The new Discovery Sport delivers on the promise of outstanding on-road refinement, comfort and handling in concert with all-terrain capability that's essential to the brand's DNA. 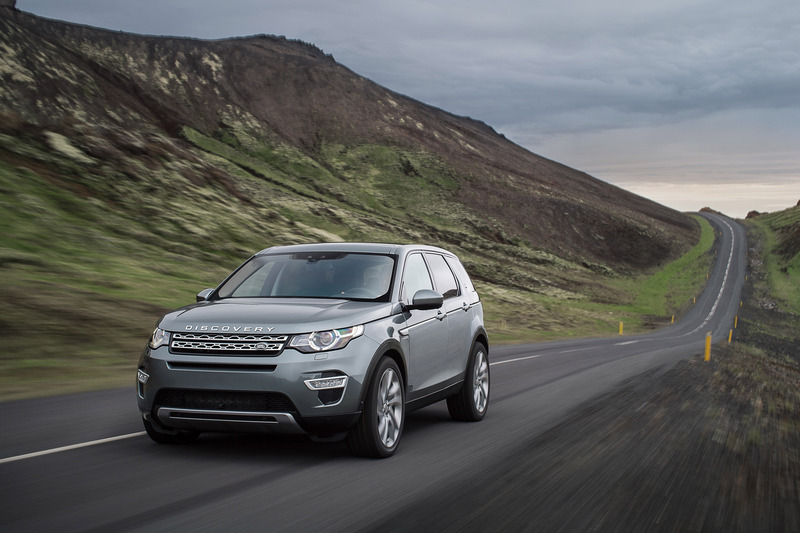 Exhaustive tests on everything from British country roads to the Nürburgring Nordschleife ensured the on-road refinement Land Rover customers expect, while a punishing off-road test regimen prepared the Discovery Sport for off-pavement travel. The intelligent full-time all-wheel-drive system continuously varies the torque split front-to-rear to deliver outstanding performance and traction on all surfaces. The latest electronically controlled Haldex center coupling can respond to wheel slip and driver demands faster than a purely mechanical coupling. 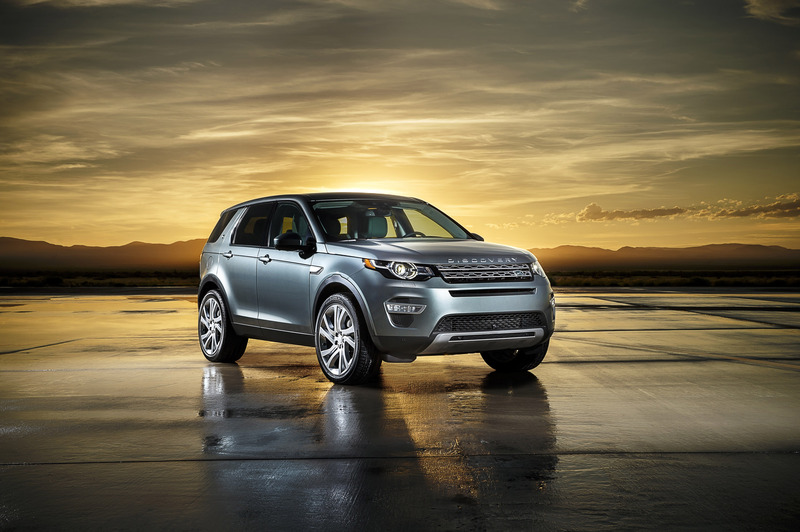 Land Rover Terrain Response® maximizes the capability of the Discovery Sport in challenging conditions. Controlled through an intuitive interface on the center console, Terrain Response® is designed to precisely tailor the vehicle's steering, throttle response, gearbox, center-coupling and braking and stability systems to the demands of the terrain. Terrain Response® features four settings: General; Grass/Gravel/Snow (for slippery conditions on- and off-road); Mud and Ruts, and Sand. EPAS removes the need for engine-driven hydraulic steering assistance, reducing parasitic losses and therefore fuel consumption. As an added benefit, EPAS enables the available Park Assist feature, which helps to identify suitable parallel and perpendicular parking spaces and can automatically steer the vehicle into place. Emergency Brake Assist (EBA) is designed to automatically increase the amount of brake pressure when the system senses an emergency situation; Electronic Brake-force Distribution (EBD) helps to ensure the ideal braking balance between the front and rear wheels in extreme situations, and Corner Brake Control (CBC) helps to ensure stability during heavy braking in a corner. An available Autonomous Emergency Braking system can help avoid collisions or mitigate their consequences. The system uses stereo cameras mounted next to the rear-view mirror designed to detect objects that could pose the risk of a collision, such as slowing traffic. Operational between speeds of 3-50 mph (5-80km/h), the system helps to avoid collisions below 32 mph (50km/h), and reduces the severity of an impact at speeds below 50 mph (80km/h). If the system deems a collision likely, it will alert the driver with a visual and audible warning. If the driver takes no action and a collision is judged unavoidable, a driver warning is triggered while the system applies full braking pressure to bring the vehicle to a stop. 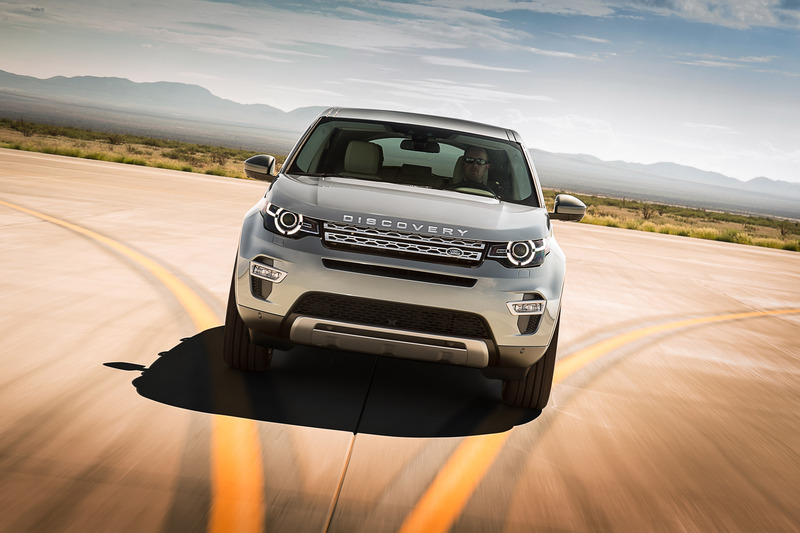 The Land Rover Discovery brings the brand's best active and passive safety ideas together. The comprehensive occupant safety package includes driver and passenger front airbags, knee airbags, side curtain airbags and thorax airbags. An all-new infotainment system for the Discovery Sport integrates voice-controlled satellite-navigation, WiFi hotspot connectivity and an all-terrain mode. Buyers can opt for the Land Rover InControl™ technology, including InControl Apps™ that bring the convenience and original look and feel of smartphone apps to the vehicle's 8-inch touchscreen. 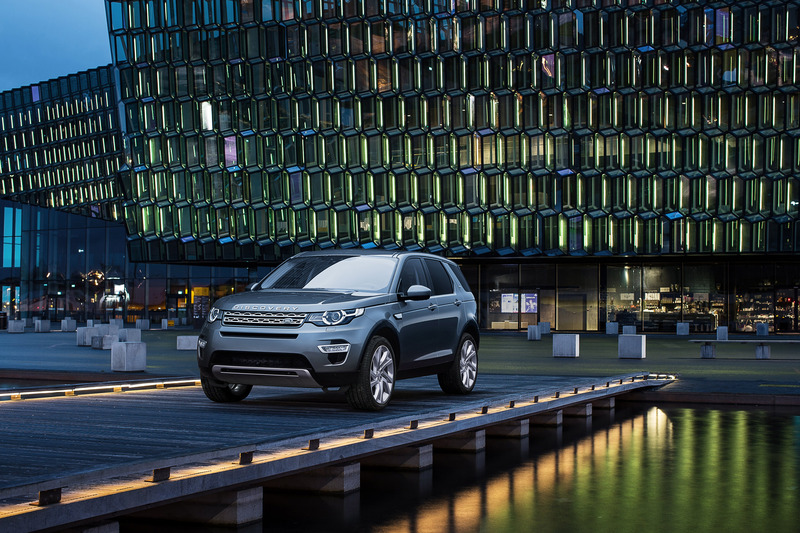 The Discovery Sport will offer the choice of two audio systems: a 10-speaker system and an 11-speaker upgrade version (including subwoofer). Bluetooth® functionality allows up to two phones to be synced to the infotainment system simultaneously: one to make or receive hands-free phone calls via multi-function steering wheel controls, the other to play audio, including streamed music from app-based services such as Spotify. Alternatively, smartphones and portable MP3 players can be synced and charged via USB sockets or auxiliary inputs. Land Rover InControl® Apps, developed in conjunction with BOSCH SoftTec, offer a wide range of connectivity functions and are compatible with the latest Apple® and Android™ smartphones. By connecting a smartphone to the dedicated USB port, smartphone apps optimized for in-vehicle use will function on the vehicle's touchscreen, retaining their original look and feel. The latest content becomes available every time the apps update. A productivity suite enables easy access to the connected smartphone's contacts, calendar and music library, while a Maps app includes maps and satellite views overlaid with the vehicle location. Owners download the Land Rover InControl® Apps application to their smartphones from either the Apple App Store™ (for iPhone 5/5S/5C and up) or Google Play™ (Android). Once the phone is connected to the vehicle's dedicated USB port, the owner simply taps the InControl Apps™ icon on the central touchscreen and selects the desired app from the menu.